This article is about the academic discipline. For the peer-reviewed journal, see Physical Geography (journal). "Physiography" redirects here. Physiography may also refer to geomorphology. Physical geography (also known as geosystems or physiography) is one of the two major sub-fields of geography. Physical geography is the branch of natural science which deals with the study of processes and patterns in the natural environment like the atmosphere, hydrosphere, biosphere, and geosphere, as opposed to the cultural or built environment, the domain of human geography. Glaciology is the study of glaciers and ice sheets, or more commonly the cryosphere or ice and phenomena that involve ice. Glaciology groups the latter (ice sheets) as continental glaciers and the former (glaciers) as alpine glaciers. Although research in the areas are similar with research undertaken into both the dynamics of ice sheets and glaciers, the former tends to be concerned with the interaction of ice sheets with the present climate and the latter with the impact of glaciers on the landscape. Glaciology also has a vast array of sub-fields examining the factors and processes involved in ice sheets and glaciers e.g. snow hydrology and glacial geology. Climatology is the study of the climate, scientifically defined as weather conditions averaged over a long period of time. Climatology examines both the nature of micro (local) and macro (global) climates and the natural and anthropogenic influences on them. The field is also sub-divided largely into the climates of various regions and the study of specific phenomena or time periods e.g. tropical cyclone rainfall climatology and paleoclimatology. Meteorology is the interdisciplinary scientific study of the atmosphere that focuses on weather processes and short term forecasting (in contrast with climatology). Studies in the field stretch back millennia, though significant progress in meteorology did not occur until the eighteenth century. Meteorological phenomena are observable weather events which illuminate and are explained by the science of meteorology. Pedology is the study of soils in their natural environment. It is one of two main branches of soil science, the other being edaphology. Pedology mainly deals with pedogenesis, soil morphology, soil classification. In physical geography pedology is largely studied due to the numerous interactions between climate (water, air, temperature), soil life (micro-organisms, plants, animals), the mineral materials within soils (biogeochemical cycles) and its position and effects on the landscape such as lateralization. Palaeogeography is a cross-disciplinary study that examines the preserved material in the stratigraphic record to determine the distribution of the continents through geologic time. Almost all the evidence for the positions of the continents comes from geology in the form of fossils or paleomagnetism. The use of this data has resulted in evidence for continental drift, plate tectonics, and supercontinents. This, in turn, has supported palaeogeographic theories such as the Wilson cycle. Coastal geography is the study of the dynamic interface between the ocean and the land, incorporating both the physical geography (i.e. coastal geomorphology, geology, and oceanography) and the human geography of the coast. It involves an understanding of coastal weathering processes, particularly wave action, sediment movement and weathering, and also the ways in which humans interact with the coast. Coastal geography, although predominantly geomorphological in its research, is not just concerned with coastal landforms, but also the causes and influences of sea level change. Landscape ecology is a sub-discipline of ecology and geography that address how spatial variation in the landscape affects ecological processes such as the distribution and flow of energy, materials and individuals in the environment (which, in turn, may influence the distribution of landscape "elements" themselves such as hedgerows). The field was largely founded by the German geographer Carl Troll. Landscape ecology typically deals with problems in an applied and holistic context. The main difference between biogeography and landscape ecology is that the latter is concerned with how flows or energy and material are changed and their impacts on the landscape whereas the former is concerned with the spatial patterns of species and chemical cycles. Geomatics is the field of gathering, storing, processing, and delivering geographic information, or spatially referenced information. Geomatics includes geodesy (scientific discipline that deals with the measurement and representation of the earth, its gravitational field, and other geodynamic phenomena, such as crustal motion, oceanic tides, and polar motion), geographical information science (GIS) and remote sensing (the short or large-scale acquisition of information of an object or phenomenon, by the use of either recording or real-time sensing devices that are not in physical or intimate contact with the object). Environmental geography is a branch of geography that analyzes the spatial aspects of interactions between humans and the natural world. The branch bridges the divide between human and physical geography and thus requires an understanding of the dynamics of geology, meteorology, hydrology, biogeography, and geomorphology, as well as the ways in which human societies conceptualize the environment. Although the branch was previously more visible in research than at present with theories such as environmental determinism linking society with the environment. It has largely become the domain of the study of environmental management or anthropogenic influences. From the birth of geography as a science during the Greek classical period and until the late nineteenth century with the birth of anthropogeography (human geography), geography was almost exclusively a natural science: the study of location and descriptive gazetteer of all places of the known world. 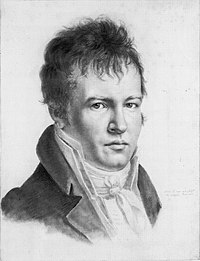 Several works among the best known during this long period could be cited as an example, from Strabo (Geography), Eratosthenes (Geographika) or Dionisio Periegetes (Periegesis Oiceumene) in the Ancient Age to the Alexander von Humboldt (Kosmos) in the nineteenth century, in which geography is regarded as a physical and natural science, of course, through the work Summa de Geografía of Martín Fernández de Enciso from the early sixteenth century, which indicated for the first time the New World. During the eighteenth and nineteenth centuries, a controversy exported from geology, between supporters of James Hutton (uniformitarianism thesis) and Georges Cuvier (catastrophism) strongly influenced the field of geography, because geography at this time was a natural science since Human Geography or Anthropogeography had just developed as a discipline in the late nineteenth century. Two historical events during the nineteenth century had a great effect in the further development of physical geography. The first was the European colonial expansion in Asia, Africa, Australia and even America in search of raw materials required by industries during the Industrial Revolution. This fostered the creation of geography departments in the universities of the colonial powers and the birth and development of national geographical societies, thus giving rise to the process identified by Horacio Capel as the institutionalization of geography. One of the most prolific empires in this regard was Russia. In the mid-eighteenth century many geographers were sent by the Russian altamirazgo different opportunities to perform geographical surveys in the area of Arctic Siberia. Among these is who is considered the patriarch of Russian geography, Mikhail Lomonosov. In the mid-1750s Lomonosov began working in the Department of Geography, Academy of Sciences to conduct research in Siberia, their contributions are notable in this regard, showing the soil organic origin and developing a comprehensive law on the movement of the ice that still governs the basics, thereby founding a new branch of geography: glaciology. In 1755 his initiative was founded Moscow University where he promotes the study of geography and the training of geographers. In 1758 he was appointed director of the Department of Geography, Academy of Sciences, a post from which would develop a working methodology for geographical survey guided by the most important long expeditions and geographical studies in Russia. Thus followed the line of Lomonosov and the contributions of the Russian school became more frequent through his disciples, and in the nineteenth century we have great geographers as Vasily Dokuchaev who performed works of great importance as a "principle of comprehensive analysis of the territory" and "Russian Chernozem" latter being the most important where introduces the geographical concept of soil, as distinct from a simple geological strata, and thus founding a new geographic area of study: pedology. Climatology also receive a strong boost from the Russian school by Wladimir Köppen whose main contribution, climate classification, is still valid today. However, this great geographer also contributed to the paleogeography through his work "The climates of the geological past" which is considered the father of paleoclimatology. Russian geographers who made great contributions to the discipline in this period were: NM Sibirtsev, Pyotr Semyonov, K.D. Glinka, Neustrayev, among others. The second important process is the theory of evolution by Darwin in mid-century (which decisively influenced the work of Ratzel, who had academic training as a zoologist and was a follower of Darwin's ideas) which meant an important impetus in the development of Biogeography. Another major event in the late nineteenth and early twentieth centuries will give a major boost to development of geography and will take place in the United States. It is the work of the famous geographer William Morris Davis who not only made important contributions to the establishment of discipline in his country, but revolutionized the field to develop geographical cycle theory which he proposed as a paradigm for geography in general, although in actually served as a paradigm for physical geography. His theory explained that mountains and other landforms are shaped by the influence of a number of factors that are manifested in the geographical cycle. He explained that the cycle begins with the lifting of the relief by geological processes (faults, volcanism, tectonic upheaval, etc.). Geographical factors such as rivers and runoff begins to create the V-shaped valleys between the mountains (the stage called "youth"). During this first stage, the terrain is steeper and more irregular. Over time, the currents can carve wider valleys ("maturity") and then start to wind, towering hills only ("senescence"). Finally, everything comes to what is a plain flat plain at the lowest elevation possible (called "baseline") This plain was called by Davis' "peneplain" meaning "almost plain" Then the rejuvenation occurs and there is another mountain lift and the cycle continues. Although Davis's theory is not entirely accurate, it was absolutely revolutionary and unique in its time and helped to modernize and create geography subfield of geomorphology. Its implications prompted a myriad of research in various branches of physical geography. In the case of the Paleogeography this theory provided a model for understanding the evolution of the landscape. For hydrology, glaciology, and climatology as a boost investigated as studying geographic factors shape the landscape and affect the cycle. The bulk of the work of William Morris Davis led to the development of a new branch of physical geography: Geomorphology whose contents until then did not differ from the rest of geography. Shortly after this branch would present a major development. Some of his disciples made significant contributions to various branches of physical geography such as Curtis Marbut and his invaluable legacy for Pedology, Mark Jefferson, Isaiah Bowman, among others. Eratosthenes (276 – 194 BC) who invented the discipline of geography. He made the first known reliable estimation of the Earth's size. He is considered the father of mathematical geography and geodesy. Ptolemy (c. 90 – c. 168), who compiled Greek and Roman knowledge to produce the book Geographia. Ibn Sina (Avicenna, 980–1037), who formulated the law of superposition and concept of uniformitarianism in Kitāb al-Šifāʾ (also called The Book of Healing). Muhammad al-Idrisi (Dreses, 1100 – c. 1165), who drew the Tabula Rogeriana, the most accurate world map in pre-modern times. Bernhardus Varenius (1622–1650), Wrote his important work "General Geography" (1650), first overview of the geography, the foundation of modern geography. Alexander von Humboldt (1769–1859), considered the father of modern geography. Published Cosmos and founded the study of biogeography. Vasily Dokuchaev (1840–1903), patriarch of Russian geography and founder of pedology. Wladimir Peter Köppen (1846–1940), developer of most important climate classification and founder of Paleoclimatology. John Francon Williams FRGS (1854-1911), wrote his seminal work Geography of the Oceans published in 1881. Luis García Sáinz (1894–1965), pioneer of physical geography in Spain. Willi Dansgaard (1922–2011), palaeoclimatologist and quaternary scientist, instrumental in the use of oxygen-isotope dating and co-identifier of Dansgaard-Oeschger events. ^ Pidwirny, Michael; Jones, Scott (1999–2015). "Physical Geography". ^ Marsh, William M.; Kaufman, Martin M. (2013). Physical Geography: Great Systems and Global Environments. Cambridege University Press. ISBN 9780521764285. ^ Eratosthenes (2010). Eratosthenes' "Geography". Fragments collected and translated, with commentary and additional material by Duane W. Roller. Princeton University Press. ISBN 978-0-691-14267-8. Holden, Joseph. (2004). Introduction to Physical Geography and the Environment. Prentice-Hall, London. Inkpen, Robert. (2004). Science, Philosophy and Physical Geography. Routledge, London. Strahler, Alan; Strahler Arthur. (2006). Introducing Physical Geography. Wiley,New York. Summerfield, M. (1991). Global Geomorphology. Longman, London.